Barga is the main town of the Mid-Valley of Serchio, set in an area inhabited since the Neolithic Age, as many archaeological remains testify. 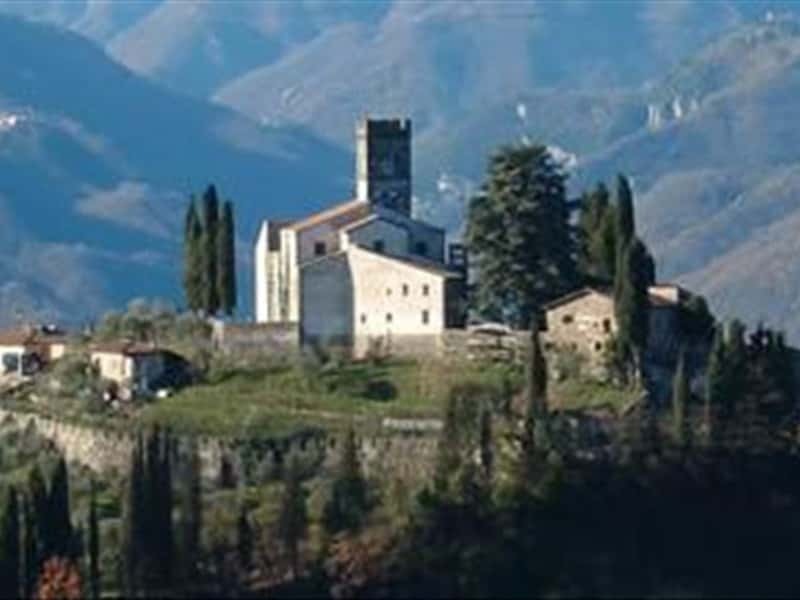 During the VIII century Barga is the fief of the Lomabrd family Rolandinghi; in the XI century it passed under the control of Lucca and in 1341 the community of Barga subdued voluntarily to the Florentine Republic. The urban structure of the town has remained more or less that of the time of the Commune, with irregular streets running between the buildings. The Cathedral of Barga, in Romanesque style, has been built in several stages from the 11th to the 16th centuries using blocks of light-colored alberese. Remaining from the original church are the beautiful holy water stoups (12th or 13th cent.) and the fragment of a fresco. The baptismal font is hexagonal and has a statue of St. John the Baptist (14th or 15th cent.). The ambo is an excellent example of the work of the Comacine master builders and stonecutters. There is a polychrome wooden statue of the town’s patron, St. Christopher, behind the high altar. The "Arringo" is the large yard between the Cathedral and Palazzo pretorio, which houses today the Civic Museum. We also mention the Church of Santissimo Crocifisso, with its late-XVI century façade and beautiful golden decorations, and the Conservatorio di Sant’Elisabetta, founded in 1456. Outside the center, the Church of San Francesco (15th cent.) has glazed terracottas attributed to the workshop of Andrea Della Robbia (1453-1525). Giovanni Pascoli, an Italian poet, lived here for many years and it is possible to visit the "Casa Museo Pascoli" on the Caprona hill. This town web page has been visited 24,341 times.